The legislature is back in full swing, as session resumes this week. 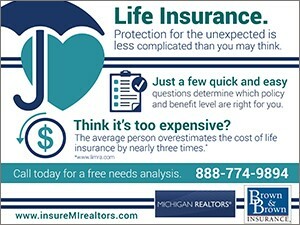 As you may recall, before the end of 2017, the Michigan Senate voted to pass the Michigan First-Time Homebuyer Savings Account legislation. These bills now move on to the House Tax Policy committee, before going on to the House floor for a full vote. 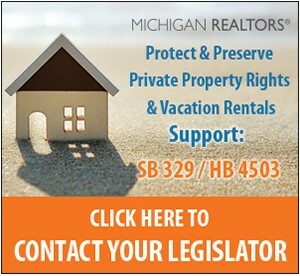 As you may recall, Senate Bills 511 and 512 sponsored by Senators Peter MacGregor (R-Rockford) & Ken Horn (R-Frankenmuth) would create the Michigan First-Time Homebuyers Savings Account, a new incentivized savings vehicle to support homeownership rooted in Michigan. 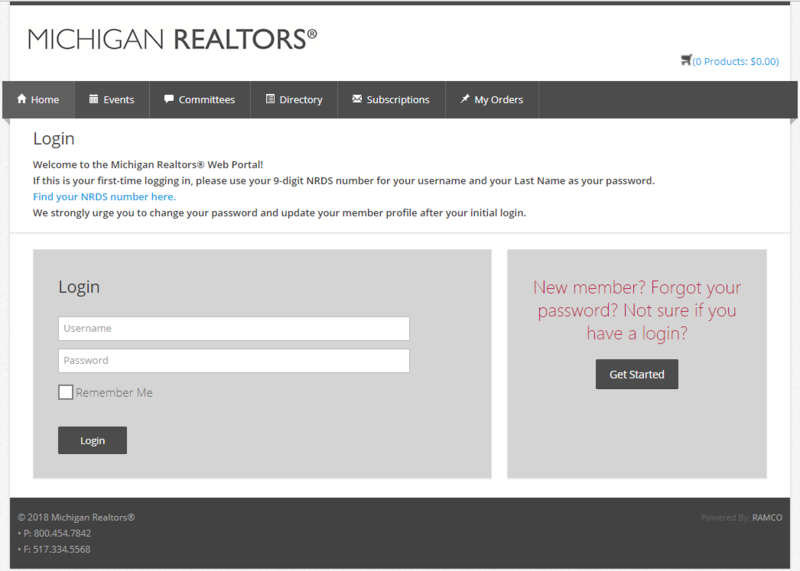 You may now access the portal from the Michigan Realtors® home page by clicking on Web Portal in the upper right corner. Login is not required to view the calendar of events or the member directory. However, if you wish to update your profile, register for a class, view committees, your subscriptions, or view your open and paid orders, you will need to login. During your first login, you will use your 9-digit NRDS number as your username and your Last Name as your password. Find your NRDS number here. If you need assistance with logging in, please contact us. Have you prepared to Go the Distance in 2018? The new year is upon us and it has brought unlimited opportunities for success. Not sure where to begin? Achieve is the place for you! Network and collaborate with the industry's best, learn from top rated speakers and celebrate your Local Association RPAC Achievement Award winners and newly elected Michigan Realtors® Officers and Directors. Rates increase Saturday, so register now for only $165. Want to stay in the center of the action? Book your room before Wed. Jan. 10th! Are you a fan of Brian Westrin and Letter of the Law Video Series?? 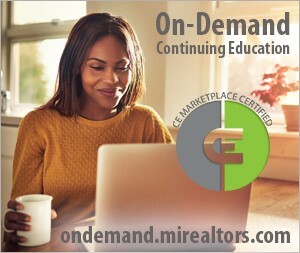 Did you know that for only $10, you can take the On-Demand CE Marketplace Certified Letter of the Law Course? Check out the course and learn how you can earn 2 hours of legal CE at your own pace and even better…the tracking is done for you! Don’t be a procrastinator in 2018. Earn your Legal CE. Is increased profitability for your brokerage one of your 2018 goals? Let the Michigan Realtors® Broker Summit help with that goal. Register in the month of January for $115* to attend the 2018 Broker Summit on Wednesday, April 25 at The Inn at St. John’s in Plymouth. You’ll hear about the economic forecast from NAR Chief Economist, Lawrence Yun, how to protect your brokerage, agents, and clients from wire fraud, and a broker panel discussing ways they structure their business to maximize profitability. This power packed one day event will give you the tools to take your business to the peak! Register now to network and learn with fellow brokers looking to build their business. The Michigan Realtors® is a recognized leader in the placemaking movement. LQC placemaking projects are small, inexpensive, and incremental community projects. These smaller types of placemaking activities can often help to improve a neighborhood and make it a better place to live, work and play. In 2017, $31,500 in micro-grants were awarded to 12 applicants. Visit the LQC web page to learn more about recently completed projects and the micro grant program. I am representing a seller that is listing a house built after 1978. An agent with a potential buyer says that I must provide a lead-based paint disclosure form. Is this true? NO. Since the house was built after 1978, it is exempt from the lead based paint disclosure law. The attached “Comparison of Disclosure Requirements” is a handy one-page comparison of exemptions under seller’s disclosure, agency disclosure and lead-based paint disclosure laws. You helped them find their home - We’ll help them furnish it! Art Van Home Rewards is a gift from you to your client: $300 in Art Van Gift Cards to use throughout the store or online, in every department, from any line we carry...Courtesy of you. Plus, priority processing for 0% financing with the Art Van Signature Card after their closing. We’ve Got Your Certified CE!